The following organisations provide funding and support to help develop coaches. Any individual affiliated member of Bowls England may apply for financial assistance for up to 50 per cent of the cost of the course. Applicants must be at least 17 years old. Each application must be supported by the applicant's club and the appointed administrator of the relevant County Association that is affiliated to Bowls England. Demand is expected to be high, so funding will be limited to one member per affiliated club per year. Applicants will be considered on a first come, first served basis. Click here for further details. Grants are awarded by the ESFA on a first come first served basis to support teachers to gain an FA qualification that will assist them to run an out of hours football activity / school team. Applications will be considered for FA Youth Modules 1-3, FA Levels 1-3 Goalkeeping and Futsal. The maximum allowance awarded is 50% towards the cost of the course. Only schools affiliated to their local Schools' Football Association are eligible. Teachers of Primary, Secondary and Special Education can apply. Click here for further details. The aim of the Torch Trophy Trust Bursary is to help volunteers to improve their skills as coaches or officials but are unable to do so without funding. The Bursaries provide financial support for those wishing to undertake training. The Bursaries are awarded to enable individuals or groups to enhance their knowledge in order to assist their club, organisation or community to develop their chosen sport. In most cases, the minimum Bursary would be £100 and the maximum £1,000 and it would not be for more than 50% of the total costs involved. Exceptional applications may be considered for grants outside these guidelines. The Bursaries are for individuals or groups who are unable to obtain the necessary funding from any other source. A letter from the relevant Governing Body must support the application. Click here for further information. A 24+ Advanced Learning Loan will help with the costs of a course at a college or training provider if you're 24 or older. The course must be an eligible Level 3 or 4 courses. The Government's website provides the facility to check whether a course is eligible. Courses are paid for by a loan scheme, for which monthly re-payments are due only when you are earning over £21,000 per annum. Click here for further information. This fund is not focused specifically on sport, but might be of interest to anyone under the age of 25 who is considering a career in sport. 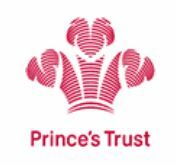 The Prince's Trust 'Development Awards' can help to cover costs such as: course fees, transport or equipment to help you achieve your plan to get into education, training or employment. If you meet their criteria, all you need to do is get in touch and tell them a bit about yourself and how the award would be used. If you're eligible, you'll be invited to discuss making an application before a final decision is made. The whole process can take up to six weeks, although it may be quicker, but they recommend getting in touch with us sooner rather than later. The Volunteer Passport is a countywide short training course exploring key areas all volunteers need to be aware of. The Volunteer Passport is for anyone who volunteers or is interested in volunteering in the future. You could be an experienced volunteer who already gives several hours a week or you could be thinking about volunteering for the first time. You don't need any qualifications to join this training. Those who complete the training are awarded an accredited certificate, and a Volunteer Passport photo ID badge which shows they have undertaken this core training. There is no charge to attend the training or for the Volunteer Passport ID badge and certificate. 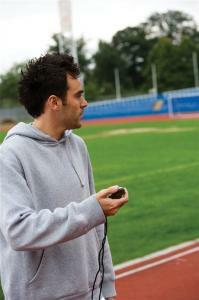 Training sessions will be held at many venues across Derbyshire. You will get more information about where and when training sessions are held when you apply. 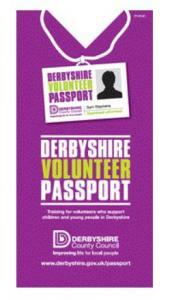 For more information, see the Volunteer Passport section of Derbyshire County Council's website.